How would you like to virtually ‘handle’ the past? To mark the start of ‘Big Roman Week’ HES have released a series of digital 3D models to help you immerse yourself in day-to-day life along the Roman frontier. 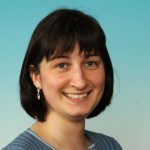 For the last three years, staff at Historic Environment Scotland have been working closely with international partners in Austria and Germany to create new digital resources. 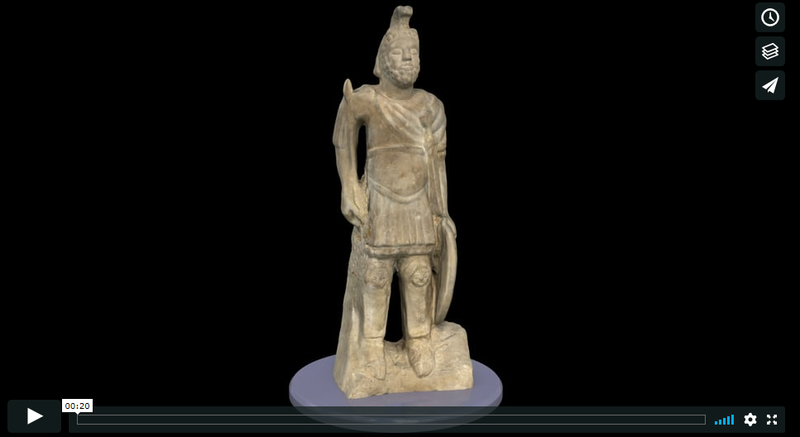 This month a new batch of digital 3D models are being released to coincide with the birthday of Antoninus Pius (founder of the Antonine Wall) and the start of the annual ‘Big Roman Week’ heritage festival. 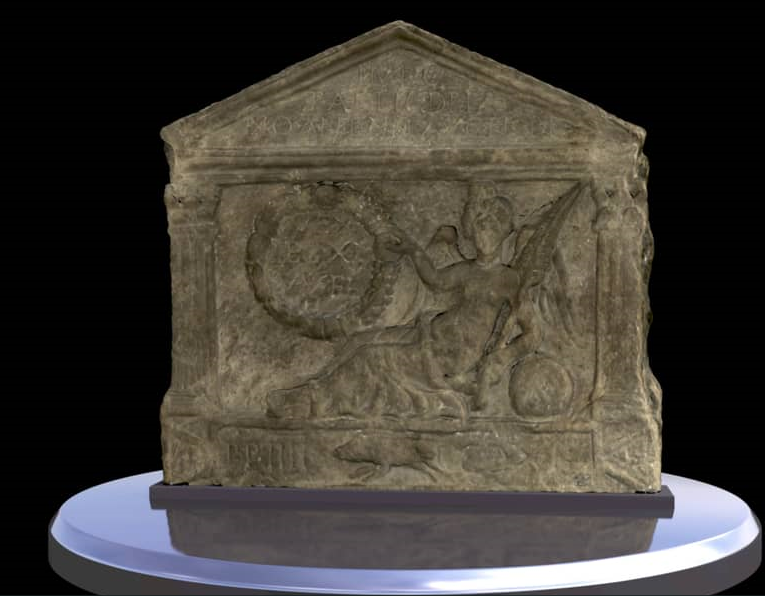 With funding from Creative Europe we have scanned a wide range of objects from the collections of the Hunterian Museum, Falkirk Community Trust and the National Museum of Scotland. 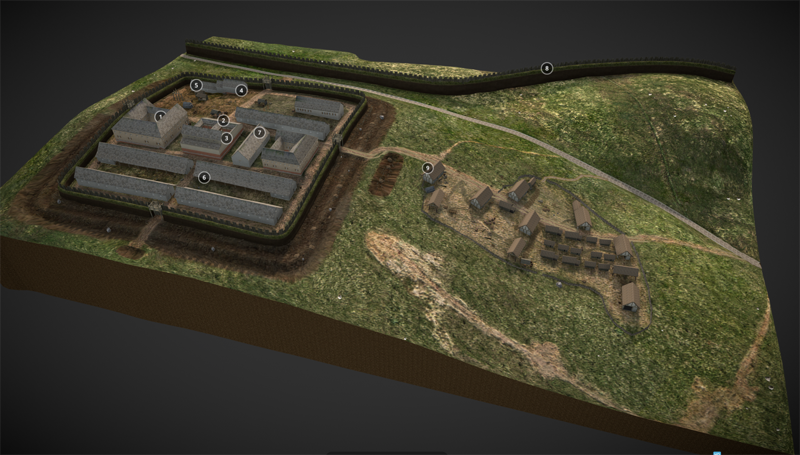 As well as being included in our app for the Antonine Wall, these models are also available to view on Sketchfab. Little is known about Antoninus Pius, despite his 23-year reign as Roman Emperor from 138 to 161AD. He is a member of a group of rulers known as “The Five Good Emperors” due to a reputation for benevolence and good governance. His full title was Imperator Titus Aelius Aurelius Caesar Antoninus and he was 51 when he became Emperor. He had no military experience but had held senior administrative posts, as governor of one of the four provinces created by Hadrian in Italy, and as proconsul of Asia. He conquered the Britons through his governor, Lolliius Urbicus, and after driving back the barbarians, built a new wall, of turf. Construction on the Antonine Wall between the Forth and the Clyde commenced around AD 142. The remains of its ramparts, steep ditches, forts and bathhouses are still visible today. Since 2008, it has been part of the Frontiers of the Roman Empire World Heritage Site. Antoninus Pius died on 7 March AD 161. Around AD 165, the Antonine Wall was abandoned and troops re-occupied Hadrian’s Wall. 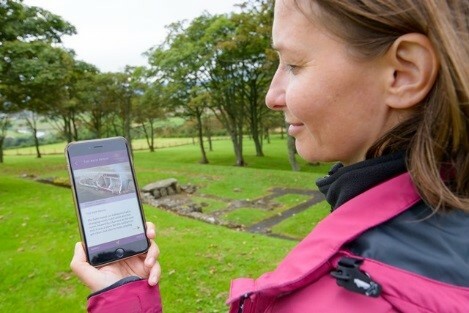 Our digital models allow you to immerse yourself in life along the Antonine Wall. 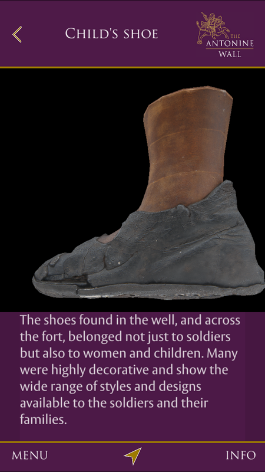 You can fly through Bar Hill Fort or examine Roman shoes up close for traces of wear and tear. See individual chisel marks on military distance slabs or get up close to statues worshiped by Roman soldiers. Bar Hill Fort is the highest on the Antonine Wall and the best place to appreciate its strategic importance. It is a Roman treasure trove where atrefacts including shoes, coins and building materials have been discovered. Many of these items were found at the bottom of a well – likely thrown down there when the fort was abandoned. The distance slab shown here is one of several from along the Antonine Wall. They were erected by soldiers to mark the completion of their building duties. Found at Old Kilpatrick, at the western end of the Wall, it depicts the goddess Victory. There is also a boar, the symbol of the Twentieth Legion responsible for the stone. This statue of Mars Ultor (a Roman god) was found at Balmuildy Fort, just north of Glasgow. It was found along with altars and other statues in a Roman shrine, and is now on display in the Hunterian Museum in Glasgow. All along the Antonine Wall, many leather shoes, and fragments of shoes, have been uncovered. Alongside military style sandals, many smaller shoes belonging to women and children have been found. These were probably from the families of the soldiers living either in the fort itself, or in the civilian settlements outside. You can explore all of these (and many more) objects from the comfort of your own home via our pages on Sketchfab. Or, if you want to see the objects in context out on site, download the app and see them closer to their original findspots. 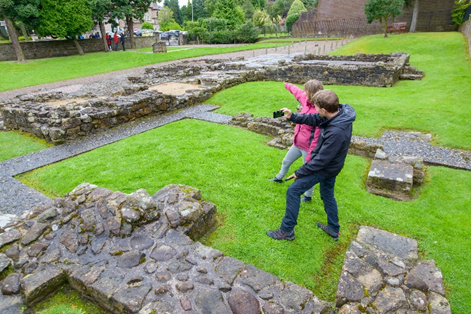 For those that prefer guided visits, the Big Roman Week programme offers a range of expert led events: you can walk in the footsteps of the Romans along the Antonine Wall, try Roman food, or head to a conference to learn more about how the Wall was built and who lived there.